The Buddhist mountainous region of Tibet has been governed by Communist China since 1959, after a failed uprising to gain its independence. 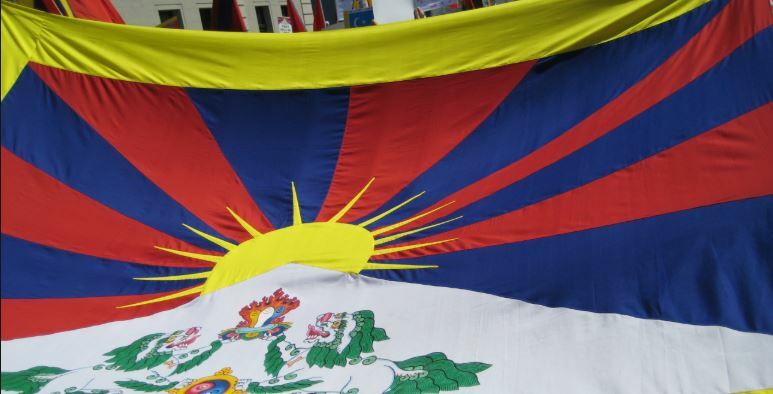 Since then, many activists and dissidents have been arrested, tortured, or exiled for pursuit of an independent state and the preservation of Tibetan culture. In the past 50 years, more than a million Tibetans have been killed. China has moved many Chinese people into Tibet, so that Tibetans are now a minority in their homeland. Chinese has become Tibet’s official language; only one out of every 20 monks is permitted to practice; and more than 6,000 monasteries have been destroyed. Although the distance between ARHS and Tibet is over 7,000 miles, ARHS student members of the club Students for a Free Tibet are looking to raise awareness and generate support for stopping the atrocities occurring in Tibet. These students hope to aid the Tibetan people by raising money to send to the national organization Students for a Free Tibet. After the Culinary Arts program was cut last year, student lost long-time advisor David Jean. The club’s new advisor is ARHS art teacher Benjamin Sears. The club now meets in Mr. Sears room every other Tuesday. SFFT raises money by having bake sales after school where they sell Tibetan dumplings called momos. In previous years, the members made dumplings at a member’s house or in the Culinary Arts room, but after the closure of that program, they began a partnership with a local Tibetan restaurant called Momo’s in downtown Amherst. The club also plans to create shirts with the Momo’s logo and a design to represent the club. “We’ll be promoting them and we’ll be donating to Students for a Free Tibet,” Riley said. The majority of the money that the club raises goes to the national organization. Club members have a different agenda at every meeting. “We normally read an article about Tibetan events and Chinese policy and we’ll discuss it,” said Riley. The rest of the time is spent on organization, fundraising, and t-shirt design. The club members also meet at Momo’s for lunch outside of school. “It’s a fun group of people,” Riley said.